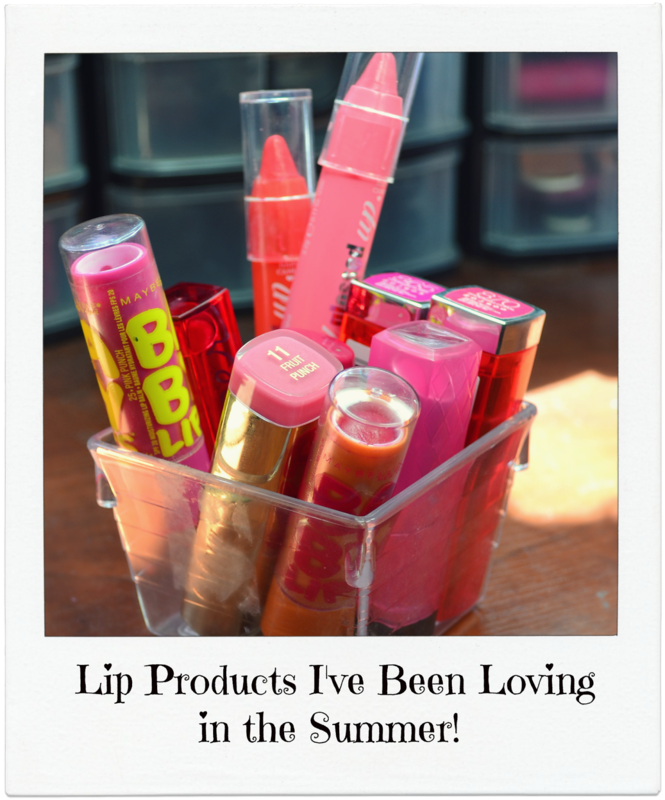 I'm back again with another post and I decided to make it about my favorite summer lip products. 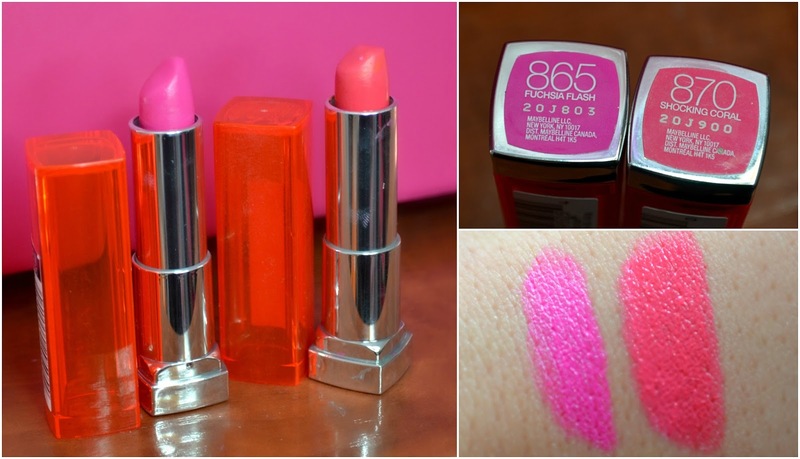 If you know me, you know I am OBSESSED with lip products whether it be lipsticks or lip balms- I want them ALL! I'm sure I'm not the only one though. I just can't resist all the colors and textures; they just make me happy. I've compiled a list of all the lip products I've been using and abusing all summer long. Be warned, there's a lot of pink coming your way! If you know me personally you know that my favorite color is pink and I prefer a strong lip color...nudes smudes people. 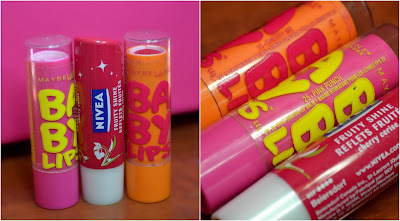 Let's start with lip balms! When I'm at work I don't have time (nor do I wish) to reapply lipstick so i carry colored lip balms with me- I work with kids and paint...so need for excess makeup ;) Anyway, getting back to the lip balms, my three favorites that I always carry with me are the Maybelline baby lips and Nivea fruit shine balm. These products are so moisturizing on the lips, leave a shiny finish on the lips and the Baby Lips have an SPF in them- bonus! 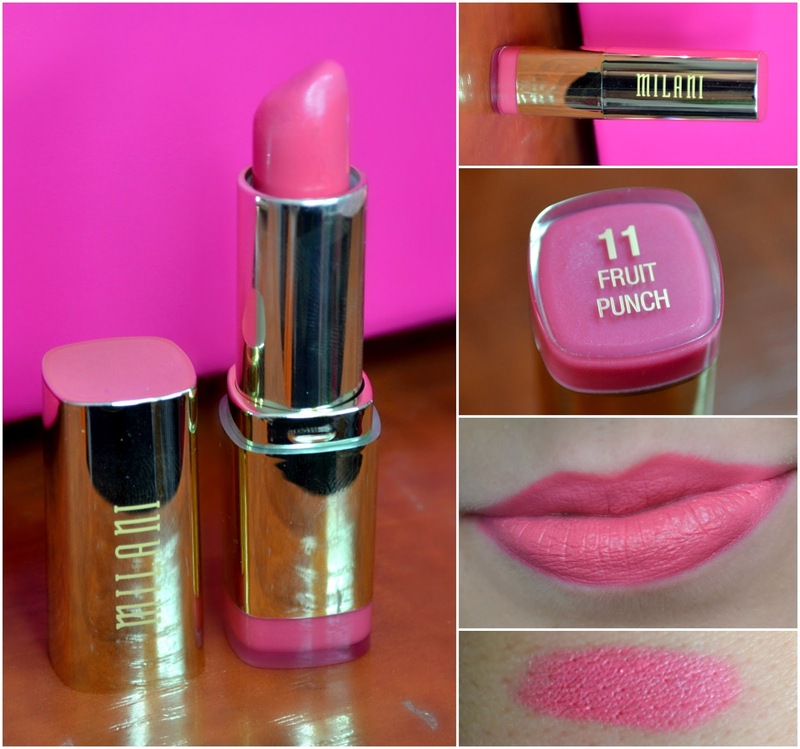 Pink Punch taste like punch juice and leaves a creamy baby pink color to the lips. Cherry Me taste likes cherry sour blasters and leaves a nice pink-ish red tint. The Nivea balm in Cherry taste likes cherries as well and feels glossy, moisturizing and wonderful on the lips, all while giving me a nice red-ish tint! Ok, let's jump into the lipsticks! This summer I've been really enjoying moisturizing and soft lip products. The ones that glide on the lips and leave a creamy and somewhat glossy finish. 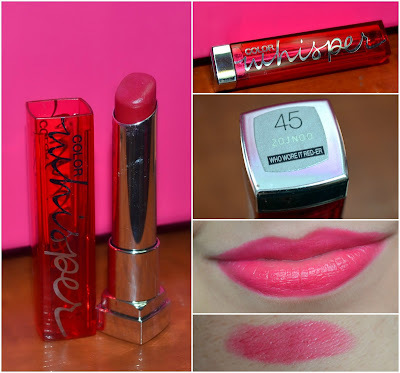 The maybelline color whisper in who wore is red-er is a perfect example. This is the red lipstick I enjoy wearing because it's great for day and night and it just feels so awesome on the lips; Maybelline really hit the mark with their color whisper line! 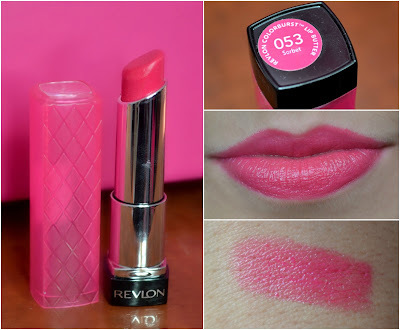 Another similar product is the Revlon Colorburst lip butter in Sorbet. 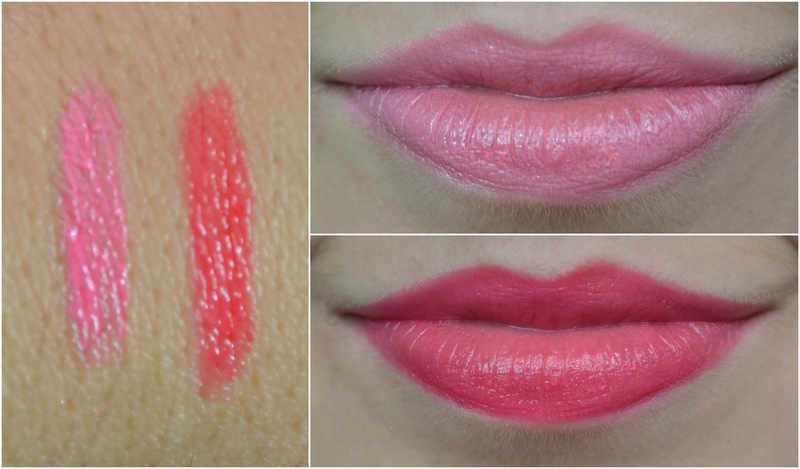 It's smooth and lovely on the lips and this color is absolutely gorgeous. A great Popsicle pink! These next two lip products are something I picked up on a whim. 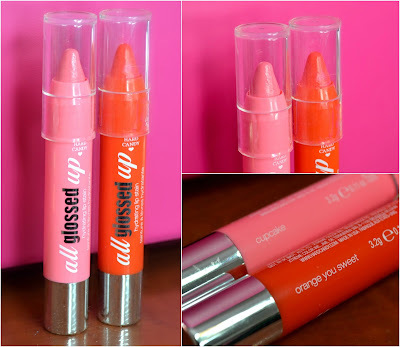 They are Hard Candy's All Glossed Up hydrating lip stain. The first one I got, Orange You Sweet, was purely for the color. This WAS supposed to be orange as the name suggests, however, it's more of a coral on the red side. 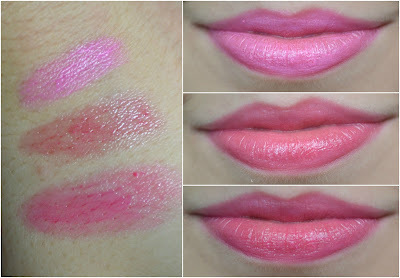 Aside from my color expectation fail, it is hydrating to the lips and does leave a little bit of a stain. If you're expecting long lasting color, you won't find it with this product. However, it has been in my purse along with Cupcake because I do enjoy the color payoff and again the moisturizing feel of these lippies. I'm easy to please! 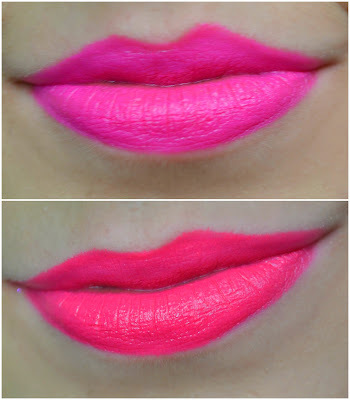 Last but not least is a lipstick I've wearing a hell of a lot this summer. It's the Milani color statement lipstick in Fruit Punch. It smells like watermelon candy, applies opaque color, leaves a creamy finish and lasts a good 4 hours without needing to reapply. This warm pinky coral is so pretty and lovely I just can't get enough. I hope you enjoyed reading this post as much as I enjoyed making it. I'm seriously a lip product junkie and it's always a revolving door. I'm sure fall will lead me to more goodies and I will update you then. beautiful lip colors on beautiful lips, thanks for the tips. U.S.A Makeup and Fashion Haul!